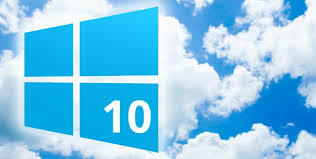 Windows 10, good bad or just ugly… the jury is still out. OMG what a roller coaster ride ….everyone has a story, let me tell you mine…. So I downloaded Windows 10 and started the install. Walked out of the room to deal with a client and on my returned the blue screen of “update failure” was staring me in the face. Windows 10 Upgrade Mark II – This time I stayed by my computer and lo and behold it worked all the way through, now just one more reboot. “Ewww what is that! ” The Black screen of “this can’t be good” was now staring me in the face. Error message ” there is something wrong with one of your digital signatures “. Couldn’t move forward, couldn’t go back, now I’m in trouble. Thank god for trusty Ipads. Searching , searching for a solution but to no avail. Everything I tried just sent me in circles. After endless attempts of trying to fix it myself I rang Microsoft, cause you know I had a couple of hours to spare to spend on hold. They couldn’t help and they scheduled a level 2 tech support phone call for the next day. I have to say the girl I spoke to was polite and really wanted to be helpful , but language and accents are always such a challenge in these situations. Well good they are going to ring me.. but I am not going without my computer for 24 hours with out a fight, and any what more damage could I do . Back to Mr Google, and with perseverance and working through some logic, together, we fixed that problem. It was the UEFI security process. This meant heading into the computer Bios ( scary place ) and changing a setting in the UEFI security settings ( this checks digitial signatures ). Hmm I wonder if I should turn it back on. All was good till the other morning, I turned on my computer and no internet. A big red X on my internet connection icon in the system tray. My network would not work for love or money…. Ok …. so maybe there was an update that messed things up … lets do a system restore! Only problem was that on that system restore a user password was set… ** warning about Windows 10… when I downloaded an app from Windows Live I had to set up an account… little did I know that windows 10 would take that for a password as a login into my computer. What that does is when you turn on your computer it will go the welcome screen where you click on user and it asks for a password. It then checks it online and then lets you open windows to gain access to your computer.. So now I have a catch 22…. can’t fix the internet cause I can’t get off the welcome screen, can’t fix the welcome screen cause I can’t connect to the internet…. Downloaded the free version, burnt it to CD ( lucky Garry’s computer was working ), ran up stairs and yay, the program opened, listed the users , I just to select the user, click on the reset button and I should be good to go…. Ahh, a free version, teases you that it will work but will not let you go any further until you they see the colour of your money….. Uggg! Houston we have lift off…. Pull the power cable out of the back of the computer TOWER. Press the On/Off button until the power drains (you will see the light go out). Leave for 10 minutes while you go downstairs and make Garry’s lunch for work. Plug the power cable back into computer, turn on and watch as all those familiar sounds and lights flash as everything loads as it should…. If only I knew this yesterday as I would have been time richer as well as $50 richer!! Live and Learn, don’t always blame the Operating System!